Note: This entry is a guest post by one of the cool people from GuestPostU. First aid kits are important for everyone to have. Whether you are going camping, going on long bike rides, or just having one in your house or car. Being prepared for whatever strikes is so important, no matter your age or activities. First aid kits can help with burns, cuts, poisoning, and even broken limbs. When buying a first aid kit, it would be best to open it up, and get an idea of what it has. If there are items missing that may be handy for you, it would be best to add them. Also, if need be, put the first aid kit into a container that protects it from water. Having a first aid kit is important for anyone that goes on long trips far from civilization. This is because it may be difficult to find a doctor, or a store that has the items you need. Sometimes while camping it may be difficult to find aspirin or splints for an injury. Any camper or backpacker should certainly have a first aid kit. 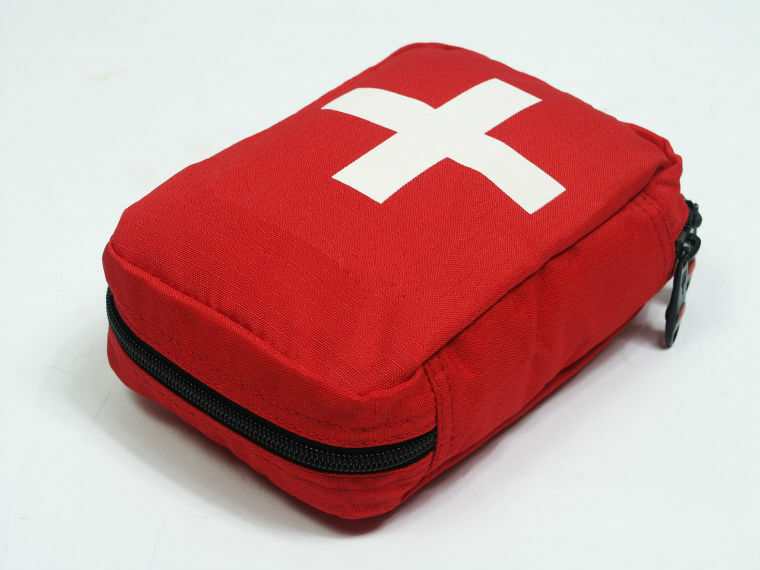 Having a first aid kit can be a large money saver, this is because a first aid kit can help avoid visits to doctors. Many small injuries and ailments can simply be fixed if you have the necessary medicine or first aid item. Emergency room visits can be expensive especially when hospitals or doctors are out of your insurance network. Having the necessary equipment will save you a lot of money. If you have kids, or watch kids, they are going to get into trouble. Kids are always getting cut up, or getting into things they should not. Having a kit available can help fix the small problems they get into. Of course, large injuries may need a doctor to fix. But any small scrape or cut can be fixed by a first aid kit. In this day and age, it is a good idea to of course, avoid liability. Having a first aid kid can help save lives. If people are injured at your house, having a first aid kit can fix them up. Sadly, in this day in age, many people sue homeowners when they get hurt at someones house. Sometimes hurricanes or tornadoes or other natural disasters will hit. It is important to have some kind of kit to help in case of injury. This is because during a natural disaster, local and state government agencies may not be able to assist quickly. Not only that, but fixing small problems on your own can free them up so they can help people in life and death situations. A first aid kit can be a life saver, the great thing is you can buy one or make your own. It is very important to make sure it has all you need for your specific needs. Many people who hike out in the wilderness may put more anti venom items in their kit. People with kids may want to look at putting more band-aids in their kit. It is important to open it up every few months to make sure nothing has expired. A first aid kid may truly be a life saver. Or at least get you out of an uncomfortable situation. Retta Gilbert writes about safety, privacy & the importance of a criminal background check.